How About the Troops Coming to Fix the Broken Highway at Devil’s Slide? Yesterday, I left home in El Granada at 9:50 a.m.: it’s only four miles to Half Moon Bay but forty minutes later found me mired in traffic on two-lane Hwy 92 about a mile east of Half Moon Bay. It was confirmed that there had been an accident–a big, locally owned commercial truck hit head-on and the traffic was impossibly backed up. As I crawled up the mountain I saw quite a few cars strewn on the side of the road, with steam spewing out of their overheated engines. It took me 1 & 1/2 hours to drive from El Granada to 280 in San Mateo, a ride that used to take 20 minutes. The stagecoach in the 19th century did better. 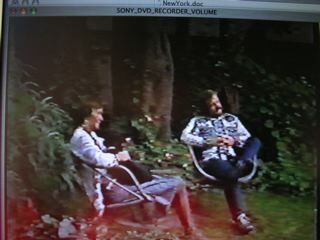 (There was one benefit: at this very slow pace I enjoyed the beautiful coastside scenery that I hadn’t noticed in years when whizzing byâwhat a terrific opportunity to practice patience and meditationâ-unfortunately, the meditation led to drowsiness and I realized, with lids growing heavy, that I better stay alert or Iâd fall asleep at the wheel). Later, on the way home (youâd better make your return early, or you hit the commute traffic and youâre back bumper-to-bumper) I shopped at the Half Moon Bay Safeway. Another âvictimâ? standing in the checkout line was calculating the cost of driving âover the hillâ? and back–$20 was his calculaltion. He was numbed by his own mathematics. Itâs incomprehensible that there is no solution, even temporary, to reopening the breathtaking stretch of Highway 1 known as Devilâs Slide. Itâs alleged by some that “the U.S. military can build a road anywhere in the world in about two hours”. Hey, how about bringing the troops to Devilâs Slide? It would give these young men and women a healthy and useful project to work on. If getting the army to Devilâs Slide isnât possible, remember weâre just a stone’s throw from Silicon Valley and Stanford, the birthplace of high tech– and we âre drowning in Nobel Prize winners. Surely someone can come up with a solution to get Devilâs Slide re-opened. In the grand scale of things, a broken road is a very small deal…but what if one day we had a real disaster like an earthquake or a tsunamiâ¦I shudder at the thoughtâ¦. Last Saturday night, not only was Devil’s Slide shut down, the phones lines were down, the internet was down– God forbid if you had an emergency and had to call 911 because all you got was a busy signal (and one that sounded like a racing heartbeat). For some unexplained reason the TV worked throughout. And the local news told us that a landslide on Highway 92 (the only road open now that Devil’s Slide has slipped away) caused the service outages. The time estimates on when service would be restored varied from unknown to 4 p.m. to midnight. Bay City News got it right on the button–around 4 p.m. on Sunday afternoon the landline came back to life, followed closely by the cell phone & 911 and the Internet. (We celebrated…quietly). During the hours we were “without connection to the outside world” we took a ride “over the hill” and saw the many phone company vehicles parked near the cemetery, presumably close to the site of the landslide. There’s been construction going on there and a fiber optic line had been severed. (Don’t think too hard about that!). We listened to the radio news and a county official confirmed coastsiders couldn’t get through to 911. Until phone service was back on line, he said police vehicles had been stationed at signal lights along Highway 1. Cops were told to roll down their windows so they could hear anyone shouting for help. 24 hours without phones, without Internet, without 911. Funny– when we got it all back, we took it all in stride, as if nothing had happened at all. As a dear friend always says: âIf you hang by the neck long enough, you get used to it.â? As the San Juan continued south past Pigeon Point, the Standard Oil tanker S.C.T. Dodd was plowing northward up the coast toward San Francisco, nearing the end of her voyage from Baltimore. The vessels were 12-miles out, off the San Mateo-Santa Cruz coastline when minutes before midnight the sound of a piercing whistle broke the stillness of the night. Without any further warning, the sickening shriek of metal tearing metal roared through the San Juan’s staterooms. The Granstedts were thrown from their berths. Hearts pounding, pulses racing, the panicked couple threw on clothes and fled to the deck. The oil tanker Dodd had rammed the San Juan and the old steamer was sinking. Once on deck, the Granstedts encountered an eerie scene of terrified passengers and crew dashing about madly—and the smell of fear was pervasive. Theodore Granstedt saw no order, only chaos. Some passengers jumped overboard, others were swept away by the powerful waves. Through the foggy mist, Captain Asplund could be seen trying to help women into a lifeboat. There was no time to reflect, hardly time for prayer: It all happened so fast. One second the Granstedts were standing beside their good friends, John and Anna Olsen, and their daughter, Helen. The next moment the San Juan was plunging stern first into the sea, creating a whirlpool that sucked them all in the abyss. Then there was a great and very loud explosion. Of the original group, only Theodore Granstedt survived. The next thing he knew he had surfaced from beneath the cold water. Searchlights illuminated the sea littered with wreckage—but he did not recognize the faces of people struggling in the nearby surf, clinging to toolboxes, screaming for help. Miraculously, before the seriously injured Mountain View man lost consciousness, he grasped the piece of floating debris that saved his life. By now lifeboats had been launched from other vessels in the vicinity: the oil tanker Dodd, the lumber carrier Munami and the motor-ship Frank Lynch. Theodore Granstedt was one of the 38 surviving passengers and crewmembers. Wife, Emma, whose anxieties were sadly proven valid was one of 72 presumed dead…as were the Olsens and Stanford student Paul Wagner. Although many of the San Juan’s survivors were crew, Captain Asplund went down with his ship as did the purser, Jack Cleveland. Emma Granstedt felt a premonition of danger as she boarded the popular âcommuter steamerâ? San Juan at San Francisco on Thursday, August 29, 1929. The middle-aged Mountain View woman tried to explain the feelings she couldnât shake to her husband, Theodore: She was worried about an accident at sea, she told him. Theodore assured his uneasy wife that there was nothing to worry about. The venerable 47-year-old iron steamer made routine runs between the City and Los Angelesâand he reminded her about the attractively inexpensive fare, ranging from $8 to $10 per passenger. He may have pointed to the San Juanâs advertisement in the local newspaper: âA delightful way to travel,â? promised the ad. âOne fare includes comfortable berth, excellent meals, open-air dancing, promenade decks, radio musicâall the luxury of ocean travel. A trip to be remembered! The economic way that entails no sacrifice!â? Premonition or not, it was too late for the Granstedts to change their mind. It would mean canceling the plans they had made with the Palo Alto friends they were traveling with, John and Anna Olsen and the coupleâs 28-year-old daughter, Helen. The Granstedts and Olsens were traveling to Southern California to attend a wedding anniversary celebrationâand the trip also gave them good reason to visit the Granstedtâs daughter, Irene, who was pursuing an acting career in Hollywood. Emma may have been consoled to learn that only a few days earlier the San Juan had been in dry dock at which time a new rudder and propeller were installed. The vessel was cleaned, painted and the sea valves overhauled. The steamerâs radio was in tiptop shape, and life-saving equipment included six lifeboats and 110 life preservers for adults and 17 children. Steamboat officials, who inspected the San Juan, pronounced her safe and in fine condition. Daylight faded and the sky darkened as the sailing hour neared on Thursday, August 29. It was customary for the purser, Jack Cleveland, to sell tickets to impulsive travelers who made a last-minute decision to sail from San Francisco to L.A. One such last-minute ticket-buyer may have been 24-year-old Stanford graduate student Paul Wagner, who was on his way to visit his family in Southern California. On board the busy steamer there was no hint of anything out of the ordinaryâbut one significant change had been made: 65-year-old retired Captain Adolph F. Asplund replaced the regular commander who had taken time off for his summer vacation. The experienced Captain Asplund knew every inch of the San Juan, as he had been her captain many years before. When the San Juan left port, there were 110 men, women and children on board, 65 passengers and 45 members of the crew. All were settling in and a few hours later the steamer approached the beautiful Pigeon Point lighthouse, south of the village of Pescadero. By now many of the sleepy passengers, including the Granstedts and the Olsens, headed for their staterooms below deck to rest on their first night at sea. Photo: Pigeon Point, courtesy San Mateo County History Museum, Redwood City. Sybil Easterday’s rooster should have awakened her from her deep sleep on the morning of April 18, 1906. Instead the well known eccentric sculptress, who lived with her mother, Flora, in an artistic home at Tunitas Creek, south of Half Moon Bay, found herself captive to the sudden shaking and moving of the earth. There was no fighting back with this earthquake; it was very powerful and held their very lives in the balance. When the shuddering stopped, the Easterdays rushed outside to make sure the world they had known was still there. What they found were huge cracks in the earth– cracks big enough to engulf a human leg, and they threw fistfuls of loose dirt into the fissures so that the baby ducks wouldn’t get swallowed up. The Easterday’s Tunitas Creek home was a stone’s throw from the Ocean Shore Railroad’s future depot-—but until the day before the quake workers were laying tracks 15 or so miles to the north near Mussel Rock—where the San Andreas Fault rises from the sea and heads inland. Actual grading for the railroad had reached several miles further south and as the ground trembled the land exposed hundreds of deep crevices. Boulders tumbled down near Devil’s Slide and the big rocks swept away the Ocean Shore’s expensive equipment as they rolled over the fragile cliffs into the Pacific Ocean. Seconds after the powerful vibrations ceased, the railroad bed was contorted beyond recognition. The Ocean Shore Railroad had already experienced financial difficulties but it was the 1906 earthquake that struck the killer blow. In Half Moon Bay the quake’s damage was swift and brutal, snuffing out life and wrecking businesses and homes on or near Main Street. The general store, Cereghino & Debenedetti, lost an entire wall, giving the impression that a tornado had blown through the building. That would be easier to repair than what happened to Levy Brothers, a much larger store– a brick structure that simply collapsed leaving behind nothing but dust. Perhaps the greatest historical loss was the Vasquez Adobe, which dated back to the mid-1800s. In that tragedy a dozen people were buried alive. Giant boulders also blocked the Half Moon Bay-San Mateo Road, today known as Highway 92. But intrepid stagecoach driver McFadden refused to allow the rocks to stand in his way. His stagecoach arrived in Half Moon Bay with a screech and soon was surrounded by a crowd of locals, desperate to know how bad things were elsewhere. When McFadden breathlessly told them that most of San Francisco lay in ruins, his report was met with a stunned silence. Thereâs only two ways to get to San Francisco from the isolated San Mateo Coastside. The sedate choice is with Highway 92, the same trail used by creaky stagecoaches 100-years-agoâand the breathtaking alternative, Devilâs Slide, a raw 11-mile stretch of twisting roadway, 1000- feet above the crashing Pacific surf, originally blasted out of million-year-old rock by the Ocean Shore Railroad engineers in the early 20th century. 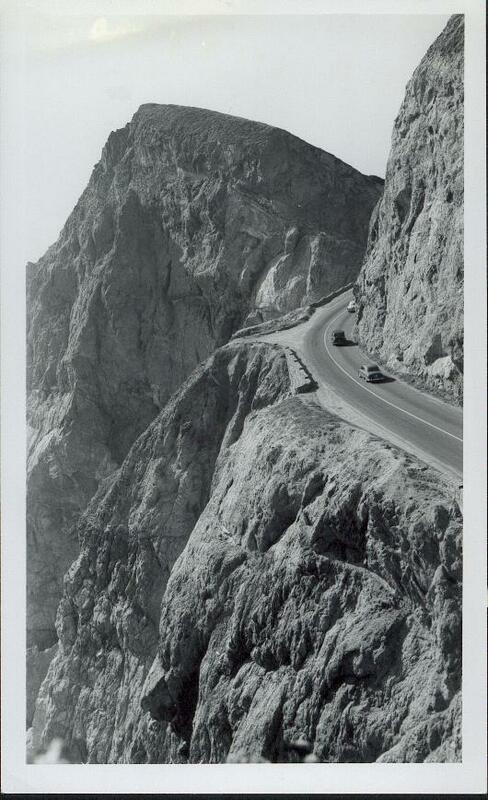 I canât remember when I first drove Devilâs Slide but it never bored me, even after a 30-year relationship. Some people donât believe that Iâm not intimidated by the SlideâDevilâs Slide plain old scares them, particularly when the winds shake their cars and the thick fog makes their headlights useless. I suspect itâs more than fear that keeps these folks off the Slide. Devilâs Slide brings one face- to -face with raw nature, the wind and the rock and the surf, some folks canât handle that, they want to see nature harnessed, civilized and confined like a photograph on the wall. 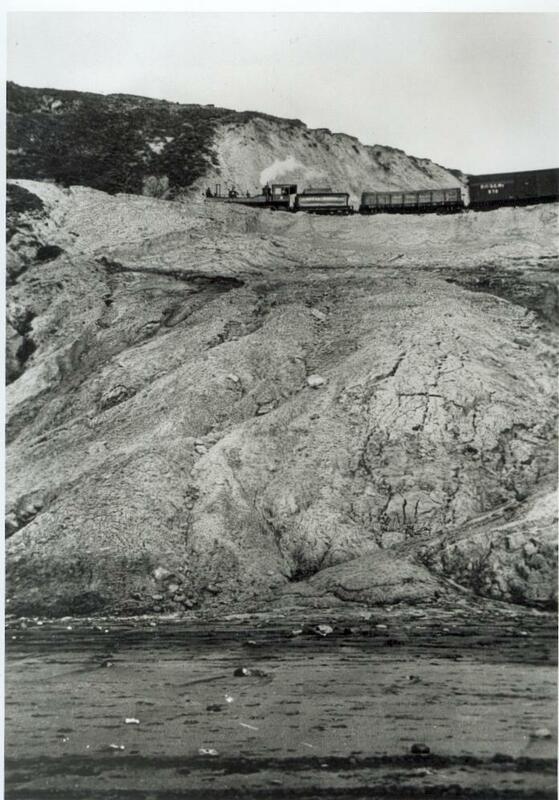 Whenever people become complacent, Devilâs Slide reminds them where the real power resides .The Ocean Shore Railroad, an iron road that cut through the mountains along the Pacific, barely lasted a decade before the Slide twisted their tracks and reclaimed the roadway. It was a constant challenge to the automobile commuters–using the same roadbed as the failed railroadâbut in 1995 Devilâs Slide ruthlessly attacked, collapsing the road and shutting the Slide down completely for almost a year. Itâs been 11 years since then and things have been pretty quiet. An occasional car crashes into the surf but by and large itâs been peaceful. Now Iâm at home and the recent incessant rains have angered the Devilâs Slide gods. 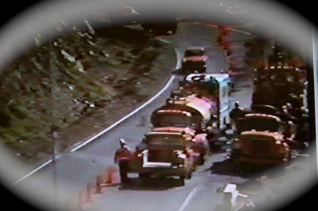 Theyâre hurdling four-ton boulders onto the roadway. Itâs been closed a couple of weeks now and Iâm heartsick at the prospect that my love affair with Devilâs Slide has been broken off again. I hope not for long. The planners are already digging a multi-million-dollar, one-mile-long tunnel that they hope will âneutralizeâ? Devilâs Slide. I have a feeling their project will prove to be futile. stepping on and off the train somewhere between Montara and El Granada 100-years-ago?